Big businesses and companies can often seem like pros when it comes to marketing and advertising campaigns. Let’s face it, they are more likely to have an entire in-house department of professionals working on the marketing efforts at all time, making sure that the company not only gets the exposure it needs but that its message is being heard loud and clear. For small companies, it can be hard to compete with this kind of clout, which can end up leaving the small company in the dust and basically swallowed up by the competition. This is where an SEO (search engine optimisation) campaign can prove to be useful. While you may think that an SEO campaign is something that only big businesses use, in reality, any business of any size can benefit from it. Still not convinced? Not to worry, as we can dive in deeper and take a look at how your small business can, in fact, benefit from an SEO campaign. What is an SEO Campaign? In order to understand the benefits of an SEO campaign, it’s imperative to understand what it is in the first place. In a very basic sense, it is a number of steps that work together to improve your online presence – meaning you get more traffic and interest. It is typically made up of a few steps which includelink building, constant content development for your website, and on-site optimisation. This can all sound rather confusing and vague, which is exactly why it’s usually a good idea to bring in the help of the experts. Professionals can build a campaign that is customised to your company’s specific needs. An SEO campaign shouldn’t be a one-size fits all approach; rather, it should be unique and address various concerns you may have. Choosing an SEO company can be daunting as there’s so many options out there, so it may be worthwhile getting a few different quotes. You could start by looking at the Manchester SEO company Grow Big Digital who provide a free SEO audit to help you uncover any potential issues with your site. Look to companies like this one who offer free quotes rather than anyone who will try to get money from you upfront. They’ll have your best interests in mind and you can then make a decision with the multiple quotes you have to hand. One of the biggest issues that small companies face is getting enough online exposure in the first place. Typically, they don’t have a huge marketing budget, so that means they can’t be out there advertising through offline efforts like TV spots, radio ads, newspaper ads, etc. They need to look at other, more cost-effective ways to grow their exposure. 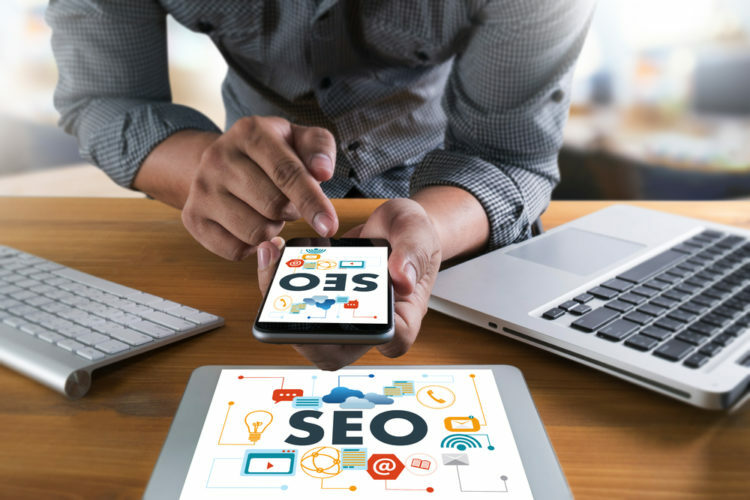 Because an SEO campaign uses a variety of online tools, the cost of the campaign is relatively low, but the idea is that you get maximum results out of it. Just because your company may be considered a “little fish” doesn’t mean you can compete with the big fish in the market. What it does mean, however, is that you need to be keeping up with them in some areas. Having a strong online presence, and a website that is engaging for visitorsis a great way to do just that. Conversion rates on websites are a constant issue, and companies are always looking to boost them. SEO tools are one way that you can do just that. The key is that you need to make sure that the website is optimisednot just for a desktop computer but also for mobile devices like tablets and smartphones. Advertising just for the sake of advertising never leads to the kind of results that you hope for. As a business, you need to identify who your target audience is and then figure out the best way to reach them. SEO tools can make it easier for that target audience to hear about you and find you, which can then make your job easier. You’ll spend less time having to track down potential customers since the SEO tools will be working to help the company expand. Another area that SEO tools can really excel and offer tangible results is in a company’s local efforts. Customers are always on the hunt for products and services that are nearby or local to them. This is where small businesses can actually get the leg up on big companies. And the good news continues because local businesses often enjoy better results when it comes to SEO. As long as you’ve used the tools correctly, your business should rank on the first page of the Google search results when a potential customer is looking for a local business. While an SEO campaign may seem pretty involved, the fact is that it can be customisedto whatever you need it to be. This is just as important, if not more important, for a small business to have a fully integrated SEO campaign that is constantly at work. How do will translation companies work after Brexit?